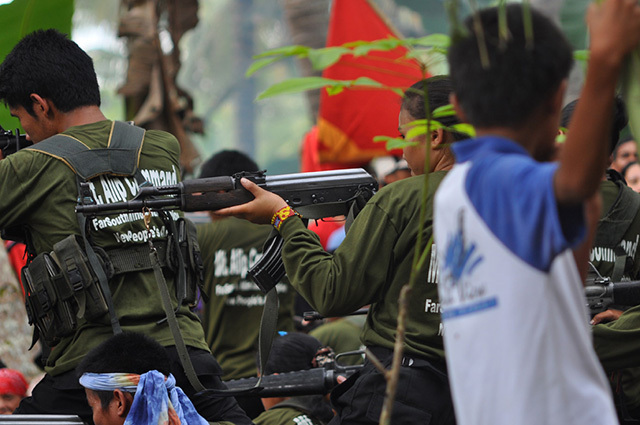 MANILA – An official of the Armed Forces of the Philippines (AFP) on Wednesday identified 18 schools in Metro Manila where the Communist Party of the Philippines (CPP) is allegedly recruiting members for its ouster plot against the government. In a text message to the Philippine News Agency, AFP deputy chief-of-staff for operations, Brig. Gen Antonio Parlade, Jr., identified the schools as University of the Philippines (UP)-Diliman, UP-Manila; Polytechnic University of the Philippines-Sta. Mesa; Ateneo de Manila University; De La Salle University; University of Santo Tomas; Adamson University; Far Eastern University; University of the East (UE)-Recto; UE-Caloocan; Emilio Aguinaldo College; Eulogio "Amang" Rodriguez Institute of Science and Technology (EARIST); San Beda College; Lyceum of the Philippines; University of Makati; Caloocan City College (now the University of Caloocan); University of Manila; and the Philippine Normal University. Parlade said CPP members are conducting activities to incite students to rebel against the government. "May ongoing film showing sila (They have an ongoing film showing) about dark years of ML (Martial Law) sa mga (in) class to incite students to rebel against the government, incite resurgence of First Quarter Storm experience among students, while projecting PRRD (President Rodrigo Roa Duterte) as the new Marcos," he added. What students do not know, he said, is that once the CPP wins this campaign, it will establish a "proletarian dictatorship" similar to the one established by communist revolutionary Pol Pot when his party Khmer Rouge ruled Cambodia in the 1970s. Pot and his party purged millions of professionals and intellectuals, forcibly and placed his followers on the leadership structure of their regime.